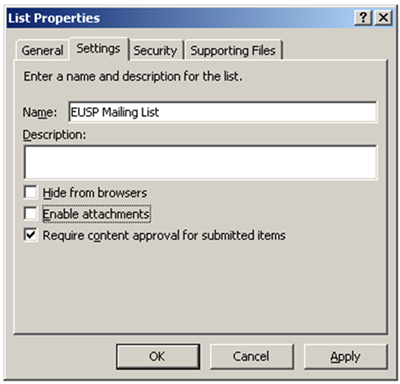 This multi-part series of posts is intended to help you create mailing lists for your SharePoint sites or blogs without writing a single line of .NET Code. In the introductory article, I listed the project initiatives, requirements, and objectives. If you have not read it yet, I would encourage you to do that first. For this series of articles, I’ve assumed that you already have a SharePoint site set up and that it is accessible to anonymous users. If you do not know how to configure your SharePoint site for anonymous access, check out this short video. 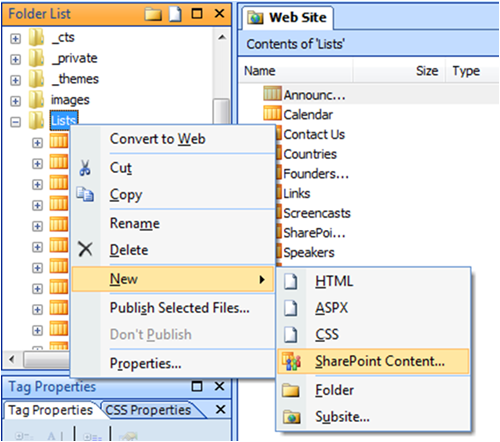 Open up SharePoint Designer, connect to your SharePoint site collection, and supply your credentials. Choose a location from the folder list as to where you want to create the list that will hold the subscribers’ contacts. 1 Choose a “contacts list” template to start with and specify a name for the list. 4 . 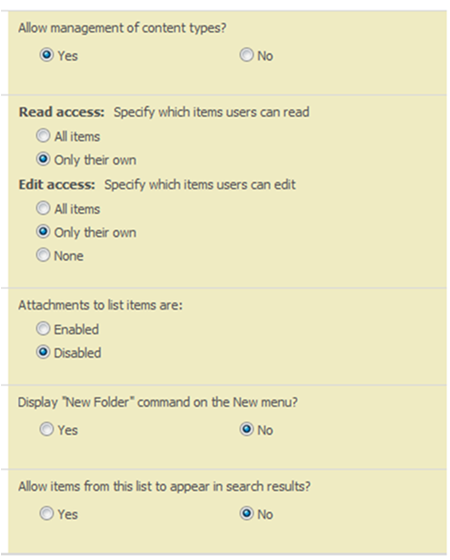 Go to the newly created list from SharePoint Designer, right click, and select properties. 5. The list properties dialog box opens up, open the settings tab, uncheck “Enable attachments” and check “Require content approval”. Press the “apply” button. Remember that we need the emails to be sent only to the approved subscribers. 7. 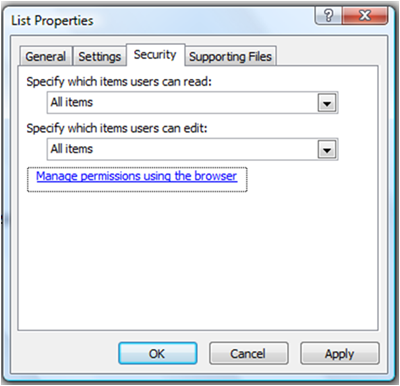 Click “Manage Permissions using the browser”. 8. The list by default inherits permissions from the site, but for anonymous lists, this will not do. By selecting ‘Edit Permissions’ from the ‘Actions’ menu, you can specify specific permissions for this list. 10. The Setting menu has now appeared. Open it, and choose ‘Anonymous Access’. 11. Configure the anonymous users’ permissions as shown in the following figure then press Ok.
12. Navigate to the list settings page using the breadcrumb. 13. Choose “Advanced Settings” from the General settings tab. 14 . Configure the advanced settings as shown in the figure below. 15 . Navigate back to the list, click new contact. Note : You must edit “Source” value, otherwise your visitors will be redirected to the default view of the list after submitting the request and they will be prompted to provide their credentials. 17 . Now everything is set up for your mailing list form, you just need to provide your visitors with a link to subscribe to the list. You can add a content editor web part to your home page and insert a link to the URL that you ended up with in the previous step. 18. Access the site anonymously and navigate to the Mailing list form through the content editor web part you created in the previous step. 19. Fill out the form and here you go! You are redirected back to the home page. Note: Anonymous users will not be able to navigate to the list views even through the breadcrumb. They will be prompted to enter their credentials or they will be redirected to the Access Denied page. In this post, I’ve illustrated creating SharePoint lists through SharePoint designer, configuring them for anonymous contribution, and preventing anonymous users from accessing any submitted data. 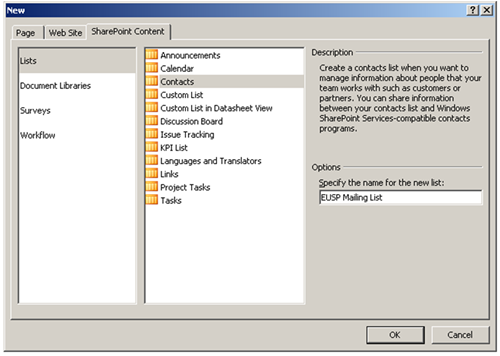 I have also demonstrated configuring SharePoint lists to enable content approval.